Samsung previously trolled Apple by releasing an ad campaign that mentions what an iPhone 6s doesn’t have and duplicate some of Apple’s advertisements. The short ad entitled “It’s not a phone, it’s a Galaxy”, concentrates on one feature which any iPhone lacks – built-in wireless charging. And this wireless charging ability is now available on Galaxy Note 5 and on the three Galaxy S6 devices (regular, edge and edge+). You will be fully charged in just 120 minutes! The 30 second commercial was released a day after the Apple’s iPhone 6s event. 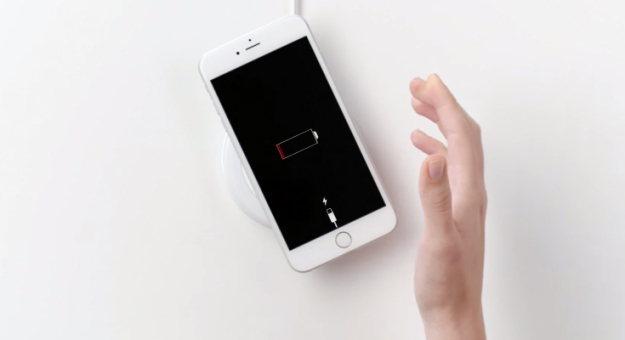 The ad shows an iPhone 6 Plus few times, emphasizing that iPhone 6s contains no wireless charging batteries. Thus, highlighting the thought that an iPhone would never be a Galaxy. Samsung’s short TV ad title is also a blow to Apple’s series of commercial advertisements of iPhones saying “If it’s not an iPhone, it’s not an iPhone”. These iPhone ads focus on their key features features, as Apple’s way of telling the world that it has the best devices in the market than any rivals. Yet, Apple failed to deliver wireless charging again, so this commercial ad will be the pedestal of hope to avid mobile phone users that charging effortlessly is finally obtainable thru Samsung’s Galaxy phones. Previous articleApple Heading To Wireless Charging?